Spring 2013 arrived fashionably late. This was convenient for us, as we’d been travelling in Bhutan during the prime time for camellias, rhododendrons and azaleas at home. One of the highlights on our return was a visit to Sandling Park, Kent, which opens just once a year in aid of Pilgrim’s Hospices. Sandling’s gardens are extensive, home to 20 national champion trees and 200 wild-sourced specimens which retain their original collectors’ numbers. 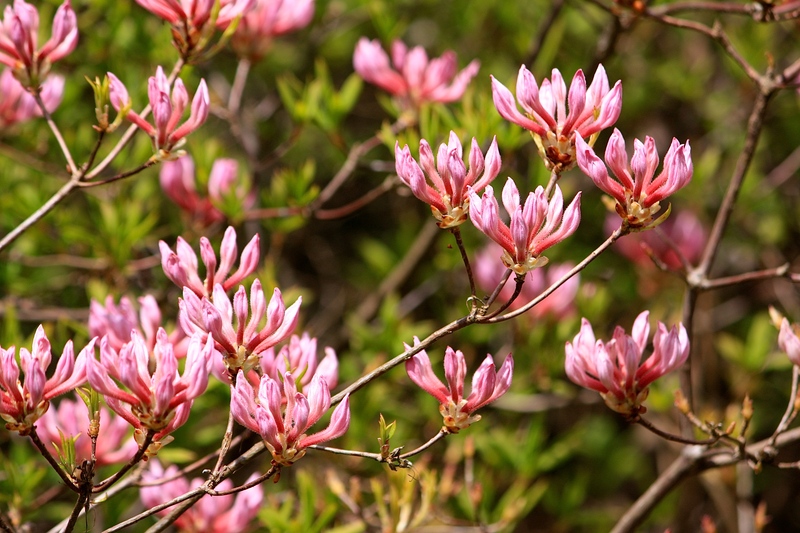 In May Sandling is a feast for the eyes, decked out with lipstick-pink camellias, blushing magnolias, dazzling rhododendrons and a sizzling display of azaleas. There is nowhere else quite like it in this part of Kent, and well worth taking the trouble to visit. You will leave as one of the privileged few to experience this special garden each year. There is a lot to see, so give yourself a couple of hours to complete the full circuit of the grounds, which is about a mile long. Revive yourself at the end of your visit with a nice cup of tea or some retail therapy at the plant stall. This year’s opening is Sunday 11th May, 10 am – 5pm. Admission £4. The garden is situated 1½ miles NW of Hythe. Entrance from the A20 only. From M20 J11 turn east onto A20. Entrance ¼ mile. There is ample free parking but wheelchair access to the garden is very limited. Oh to be in Kent. Thank you for sharing this garden experience with gorgeous photos.